In 2019, the ARCA Postgraduate Program in Art Crime and Cultural Heritage Protection will be held from May 30 through August 14, in the heart of Umbria, in Amelia, Italy. In the months leading up to the start of the program, this year’s professors will be interviewed. 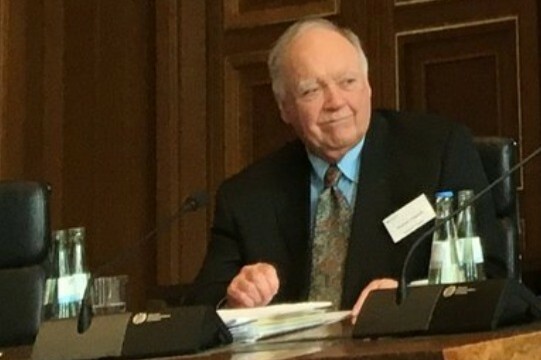 In this occasion, I am speaking with Dr. Duncan Chappell, a lawyer and criminologist, who also serves as Chair of the International Advisory Board of the Australian Research Council’s Center of Excellence in Policing and Security and is the former Director of the Australian Institute of Criminology. I have enjoyed a rather peripatetic and varied career which began in the remote Australian island state of Tasmania, or Van Diemen’s Land as it was originally called by its 1642 Dutch discoverer, Abel Tasman. It later became infamous as the dumping ground for most of the criminals transported by the British following Australia’s establishment as a European settlement and penal colony in 1788, all described in an entertaining and comprehensive way by the late art critic Robert Hughes in his book, The Fatal Shore. I graduated with dual degrees in Arts and Law from the University of Tasmania in the early 1960’s and then received a scholarship with the University of Cambridge where I completed a PhD in criminal law and criminology. I should probably add that my original choice when arriving in Cambridge was to study for an international law degree with a view to perhaps joining eventually the Australian foreign service. However, on arrival at my Cambridge college in 1962 I was persuaded by my college supervisor to go and chat with Professor Leon Radzinowitz about possibly becoming a member of the then newly established Cambridge Institute of Criminology. It was at that point that I guess that I became an accidental criminologist! I suspect that many career choices are made in this way! But it also proved to be a happy choice because at that time there were very few lawyers who also had criminological qualifications. 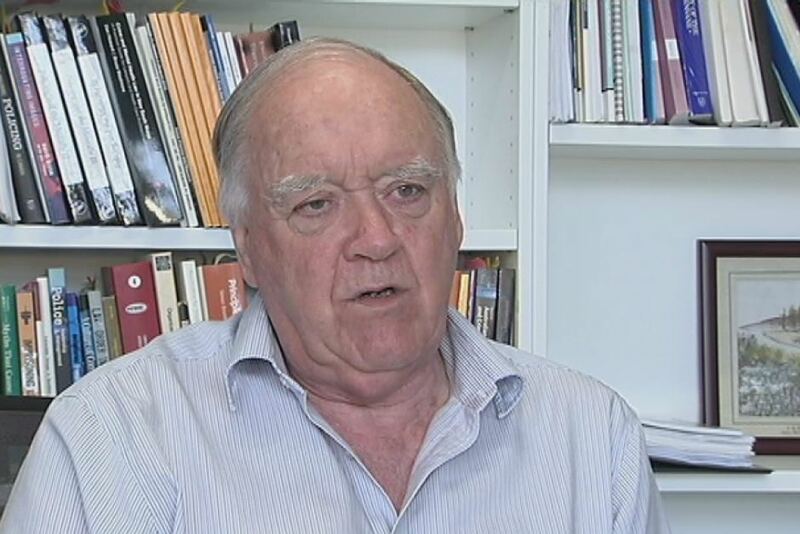 As a result I had no difficulty getting a job back in Australia when I graduated in 1965 where I took a job which involved teaching criminal law and criminology to law students at the University of Sydney, the academic institution where now in 2019 I remain an honorary faculty member. During 50 years or so I have been very fortunate to live and work in a number of countries and professional settings including the United States, Canada and Italy. I think it was in part the Italian experience in the 1990’s when I was attached to the United Nations Interregional Crime and Justice Research Institute [UNICRI] in Rome that I first began to develop an extensive interest in art crime, as I witnessed the richness of Italy’s cultural heritage and also learned of the rampant plunder of its antiquities that was occurring as well as the measures being taken to try and prevent it. That interest in heritage crime has continued to the present time and led to numbers of collaborative multidisciplinary research and writing projects on topics ranging from fraud in the indigenous art market in Australia to the illicit traffic in cultural property in Vietnam. What do you feel is the most relevant aspect of your course? The course that I have now taught at ARCA for the past five years provides a broad based introduction to those aspects of art and cultural heritage law that relate to theft, fraud and looting. Reflecting the students who participate in the course, it is designed for a multi-disciplinary audience although much of the relevant law, national and international, does raise some rather tricky and complex legal issues. What do you hope participants will get out of your course? I hope they will begin to appreciate and understand some of the legal and practical challenges that exist in combating any form of art crime. To assist this process one of the key features of the course is the choice each participant makes to select a particular area of the online art market to study in more depth, as theft and fraud can be persistent problems in the digital market. The choice they make then forms the basis of a short classroom presentation, and is extrapolated on in greater detail in a formal research paper. The range and quality of the presentations and papers resulting from this process has been quite astounding. In addition to the presentations, as much as possible I seek to stimulate discussion and dialogue throughout my classes. 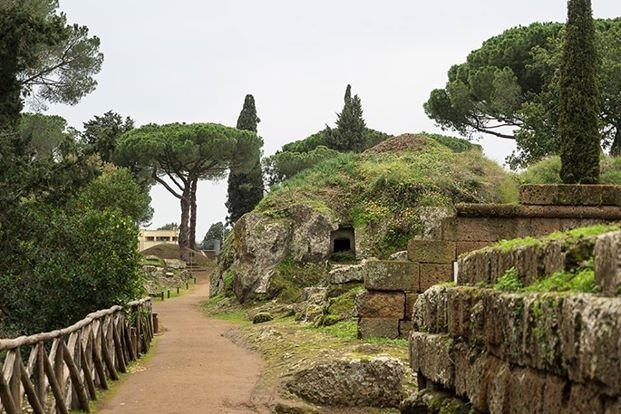 We also spend one day in a field class visiting the World Heritage listed Etruscan necropolis site at Cerveteri, Banditaccia. 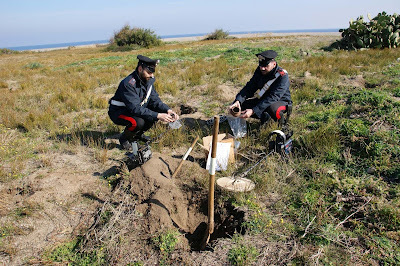 There, entering the city of the dead of a now disappeared civilization, among the graves, we get a look at what history loses during illegal excavations, as unprotected Etruscan sites throughout Italy have been looted and robbed. This visit helps to encourage lively discussion about the complexity of protecting cultural heritage. While each year participants are very enthusiastic about your course, is there anything you learn from them in the class? I have been massively impressed by, and grateful for, what I have learned from the wonderful individuals who have participated in the ARCA program over the years I have been associated with it. The richness and variety of the experience and knowledge they communicate has been one of the enduring strengths and delights of the program for me. In anticipation of your courses, what book, article, or movie would you recommend to students? For a rollicking account of the contemporary art market I strongly recommend reading Don Thompson’s book The Orange Balloon Dog. 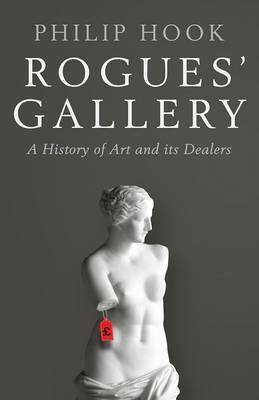 And for a little more detailed historical background and description of that market Phillip Hook’s Rogues Gallery which is equally stimulating and quite informative. 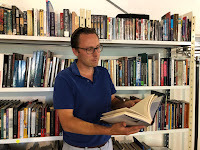 Edgar Tijhuis serves as the Academic Director at ARCA and is a visiting scholar at the Institute of Criminology in Ljubljana. He is responsible for the postgraduate certificate program in the study of art crime and cultural heritage protection and since 2009, has taught criminology modules within the ARCA program. Often ahead of the game when it comes to having a low tolerance for art crimes, Italy is about to get tougher still by adapting its current criminal legislation on crimes against cultural heritage. During a press conference held on Friday at the inauguration of the reopening of the House of the Faun at Pompeii, the Italian Minister of Culture Dario Franceschini and the country's new Prime Minister, Paolo Gentiloni, announced that Italy was perched to crack down further on a variety of art and heritage related crimes, something it has been valiently trying to accomplish in legislation originally pushed for by General B(a) CC Roberto Conforti, the (now) retired Commander of the del Comando Carabinieri Tutela Patrimonio Culturale. Based on a revised proposal submitted by the Minister of Justice Andrea Orlando and Mr. Franceschini, Italy's Council of Ministers, has approved a bill today that will be tabled in Parliament to give the government a mandate for the reform of the country's rules on penalties for offenses against cultural heritage. allow for the reduction in criminal sentencing in cases where defendents work with law enforcement and stolen art is recovered. 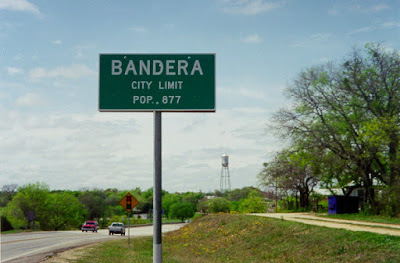 Ancient peoples first occupied Bandera County, Texas from the end of the Pleistocene (Ice Age), until the early 18th century. Some of the flint points highlighted in Mike Leggett's recently published article in the Statesman, filed ironically under the category "Sports", appear to be from Archaic cultures. 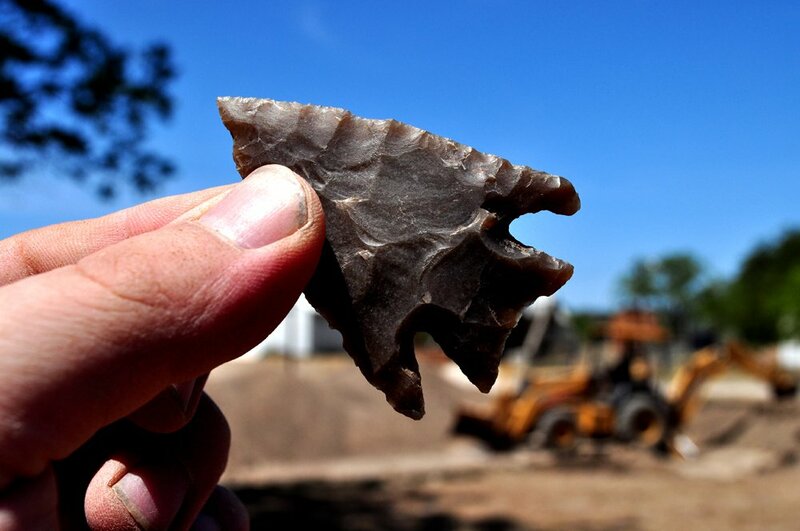 Flint points like these varied in shape over time and analyzing these points against those from other archaeological sites could be useful in pinpointing the period when the article's dig site was in use by cultures of the past. But that won't be possible when 11,500 years of stratigraphy are gouged out of the ground with a tractor or backhoe for sport. "And there’s nothing wrong with organizing and orchestrating a dig such as this. There are no burial grounds to be disturbed here and no unknown artifacts that might offer some sudden insight into Native American life and culture." "Nothing wrong" is a pretty broad term. On private property in Texas, no. 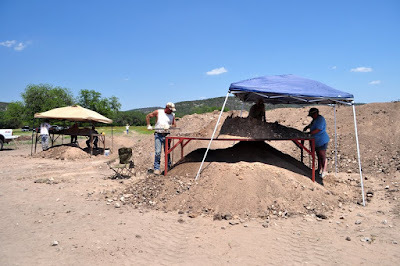 Under specific conditions, it is perfectly legal (unfortunately) to dig on private lands where middens and ancient historical objects can be found. 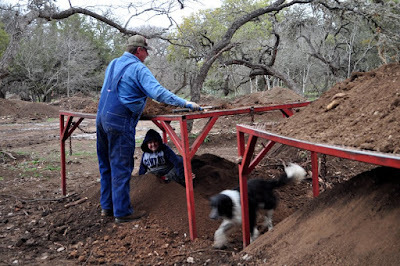 In Texas, the presence of an archaeologically significant site on private property does not restrict the property rights of the individual landowner. In fact, these sites and their contents actually belong to landowner who can manage their property in the manner they choose within certain restrictions. 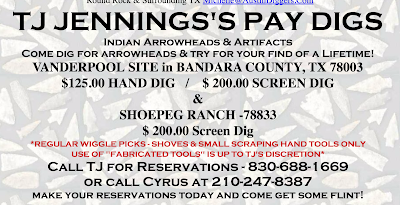 Some choose to use their sites as moneymaking ventures as some flint points are worth a few dollars, while rarer ones can be valued anywhere from between $7,000 and $12,000 each. On public property in Texas and under specific conditions, yes it is illegal. • The Antiquities Act of 1906 (34 Stat. 225, 16 U.S.C. 431-433, as amended) prohibits the excavation or disturbance of “any object of antiquity” that is situated on lands owned or controlled by the federal government. the passage of the Archeological Resources Protection Act of 1979 (Public Law 96–95, 16 U.S.C. 470aa–mm, as amended). The collection of artifacts or digging on archeological sites is illegal without a permit. 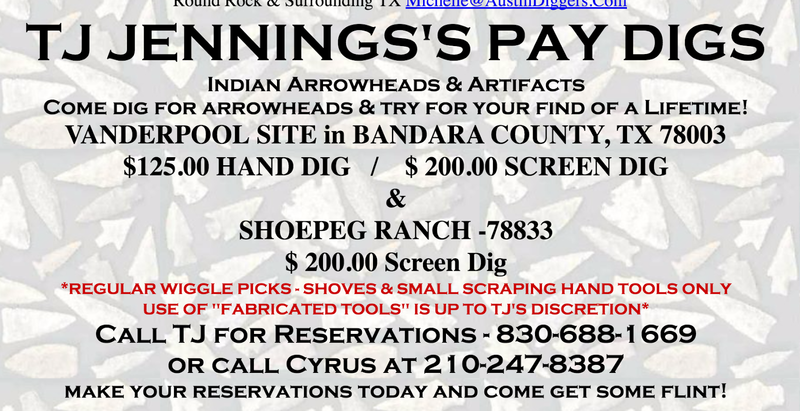 Only qualified professional archeologists are eligible to receive these permits. • The principal goal of the Native American Graves Protection and Repatriation Act (NAGPRA) of 1990 (Public Law 101-601, 25 U.S.C. 3001 et seq., as amended) is to return human remains and the artifacts found with them to the appropriate Indian tribes. Trafficking in Native American human remains and cultural items obtained in violation of this act also is prohibited. 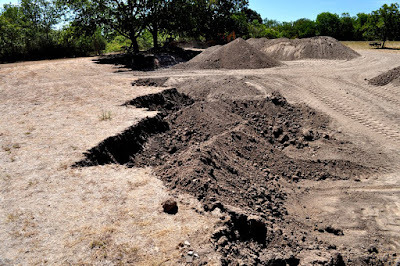 • The Antiquities Code of Texas (Natural Resources Code, Title 9, Chapter 191, as amended), passed in 1969, forbids the collection or excavation of artifacts on state and political subdivision lands without a permit. Permits are issued only to qualified professional archeologists. This law also contains provisions for the protection of designated State Archeological Landmarks on private property. But having said all that, what we know of the nomadic prehistoric people who populated the region is quite limited so it's a pity when hobbyists with artifact obsessions see the territory only as their own personal treasure trove of pointy objects. Unfortunately for history, it looks as if the flintheads have the upper hand. Archeological sites will continue to be mined for profit in the Southwest as long as artifacts have sentimental and monetary value on the national and international ancient art markets. But what does it really mean when hobbyists take historical memories out of the ground like this, permanently sifting the land grain of sand by grain of sand until nothing is left. Collectors in some states can buy history, but preservationists know you can't buy culture. Dr. Joris D. Kila, University of Amsterdam, and James A. Zeidler, Colorado State University, edited Cultural Heritage in theCrosshairs: Protecting Cultural Property during Conflict (Brill Publications, May 2013). Dr. Kila, co-recipient with Karl von Habsburg in 2012 of ARCA’s Art Protection and Security Award, attended the 2013 Art and Cultural Heritage Conference in Amelia last month. He has undertaken cultural rescue missions in Iraq, Macedonia, Egypt and Libya and is affiliated with several heritage organizations. In the Blue Shield Winner Heritage under Siege (Brill, 2012), Dr. Kila considered the practical feasibility of the 1954 Hague Convention. Dr. Zeidler is a Senior Research Scientist at Colorado State Univesity where he serves as Associate Director for Cultural Resources in the Center for Environmental Management of Military Lands (CEMMI). He has been involve din Cultural Resource Management on US military installations since 1992 and has provided cultural heritage awareness training to US troops deployed in the Middle East. The protection of cultural property during times of armed conflict and social unrest has been an on-going challenge for military forces throughout the world even after the ratification and implementation of the 1954 Hague Convention and its two Protocols by participating nations. This volume provides a series of case studies and “lessons learned” to assess the current status of Cultural Property Protection (CPP) and the military, and use that information to rethink the way forward. The contributors are all recognized experts in the field of military CPP or cultural heritage and conflict, and all are actively engaged in developing national and international solutions for the protection and conservation of these non-renewable resources and the intangible cultural values that they represent. 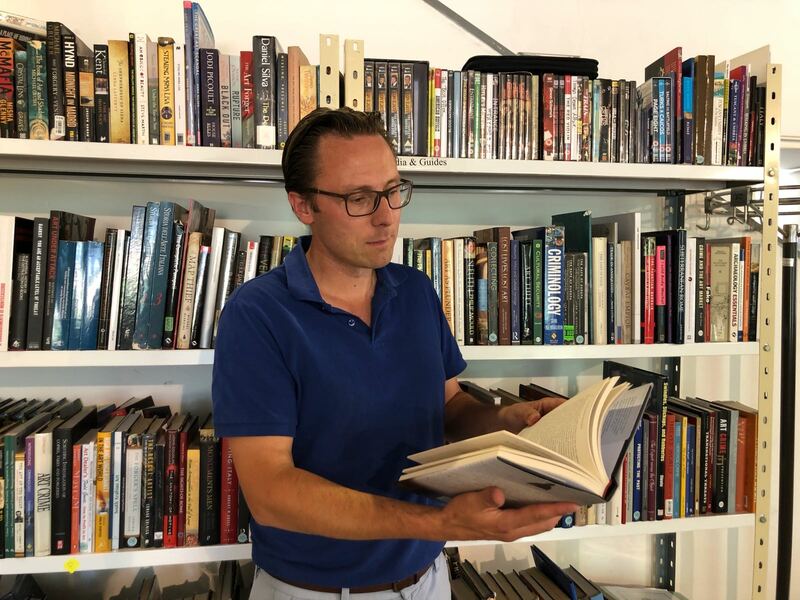 Chapter 16: "Plundering Boys: A cultural criminology assessment on the power of cultural heritage as a cause for plunder in armed conflicts along history" by Marc Balcells (ARCA Alum). "Fresh Perspectives on Art and Heritage Crime", a panel leading the schedule on the second day of ARCA's International Art Crime Conference, will feature Leila Aminddoleh, Courtney McWhorter, Michelle D'Ippolito, and Sarah Zimmer. "Spain is rich in art treasures: artwork ranging from religious works, modern paintings, ancient architecture, Roman ruins, and Visigoth remnants are densely scattered across Spain’s cities and countryside. Whereas some of the art is world-renowned and protected, much of the art is still hidden in churches and in depopulated towns and is left vulnerable to damage and theft. Spain’s cache of hidden works has great cultural value to the Spanish cultural identity; however, these works are often misappropriated because their existence is virtually unknown or unprotected. This paper sets forth recommendations for Spain to follow to protect is patrimony, most importantly the necessity of creating an extensive catalogue, encompassing both State and Church property." Leila Amineddoleh has twice published articles in the Art & Cultural Heritage Law Newsletter of the Art & Cultural Heritage Law Committee of the ABA Section of International Law, including “The Getty Museum’s Non-Victorious Bid to Keep the ‘Victorious Youth’ Bronze” (Winter 2011, Vol. III). She is currently Intellectual Property Legal Consultant at Independent Legal Counsel and Of Counsel at Lysaght, Lysaght & Ertel in New York. "How we view forgery is dependent upon how we view art as a society. In this paper I will argue that forgeries have been received differently according to the role art is playing at the time they are discovered. I will show how the role of art began changing during World War II, due to the looting of Nazi leaders, and how this affected forgery, using the case of the Van Meegeren forgeries as an example. I will show how art is valued today according to its historicity, rather than its aesthetic capabilities. Such a claim explains why forgeries could have once been acceptable, but now are not because they falsify history. They are placed into historical contexts where they do not fit and thereby misconstrue the public view of history. This paper is important because it shows that by understanding the perception of forgeries at certain periods, we can better understand the role of art and the values placed upon it in society." "The ability of investigative agencies like Interpol and the Federal Bureau of Investigation (FBI) to effectively recover stolen works of art depends in part on how comprehensive and complete their databases of stolen works are. The scope of these databases and their effectiveness in recovering artwork depends on how many reports of theft are submitted by museums to the investigative agencies. This paper looks at the various influences that inform a museum’s response to theft, including sending in reports of theft. It examines how a concern with public image and a lack of funding affect the resources museums have at their disposal to handle museum theft and provides some strategies to improve the deterrence of museum theft worldwide." Sarah Zimmer is a part-time faculty member in the Photography department of the Art Institute of Michigan. She has studied in both the United States and Italy. She graduated from the Cranbrook Academy of Art in 2010 with a Masters of Fine Arts in Photography. Ms. Zimmer's works of art have appeared in many different exhibitions, including two solo exhibitions: “Presenting” at Four White Walls in Phoenix, Arizona, in 2005, and “Presence” at the Galleria La Corte in Florence, Italy, in 2007. Ms. Zimmer will present “The Investigation of Object TH 1988.18: Rembrandt’s 100 Guilder Print”. In 2008, while working at an archive of an unnamed institution it was discovered that an etching by Rembrandt van Rijn was missing from the collection. According to a letter on file it was approved to be sent out for restoration in 1998. However, no record was ever found to confirm that it was sent out for treatment. It was last accounted for in a 1990 inventory. Months were dedicated to digging through files and paperwork. After attempting to track the object starting with its provenance, port of entry, and adoption into the collection, the paper work dropped off and a more rigorous search began. Emails were sent and searches commenced, until one afternoon in 2009 I received a letter from the head of the institution asking me to halt the investigation with no explanation offered. While the particular piece’s rarity and monetary value hold no comparison to the Rembrandt cut from its frame during the 1990 Gardener Museum heist, the unnamed institution continues to guard the knowledge of the prints disappearance. This object and the circumstances that ensued led me to further investigate and explore a larger system of values using Rembrandt as a model. I began by questioning the institutional value of maintaining the secret of a missing artwork that was not of any particular rarity or monetary significance.